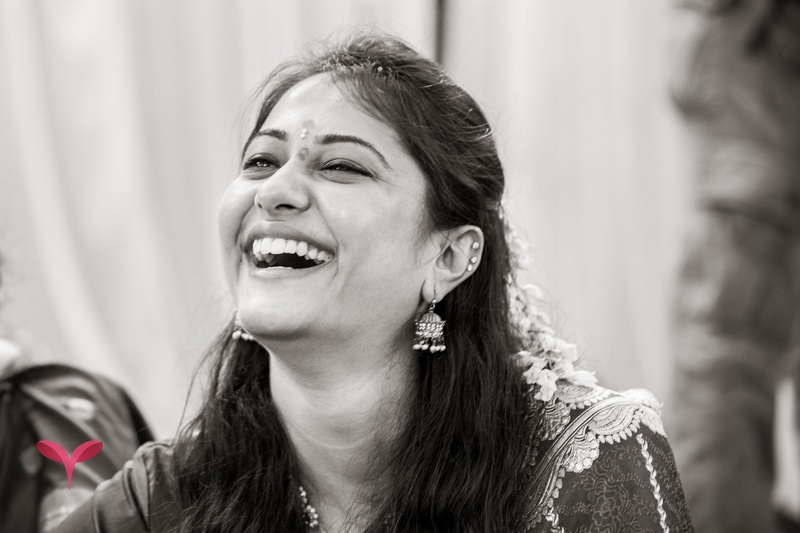 They say absence makes the heart grow fonder, and that’s exactly what happened in Mahalsa and Shouvik’s case! 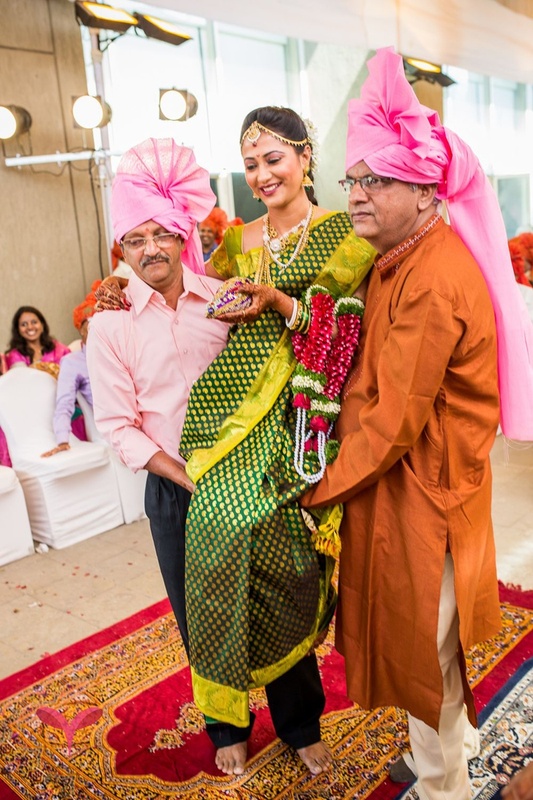 Working together in the same organization, they only realized their love for each other once Shouvik left. 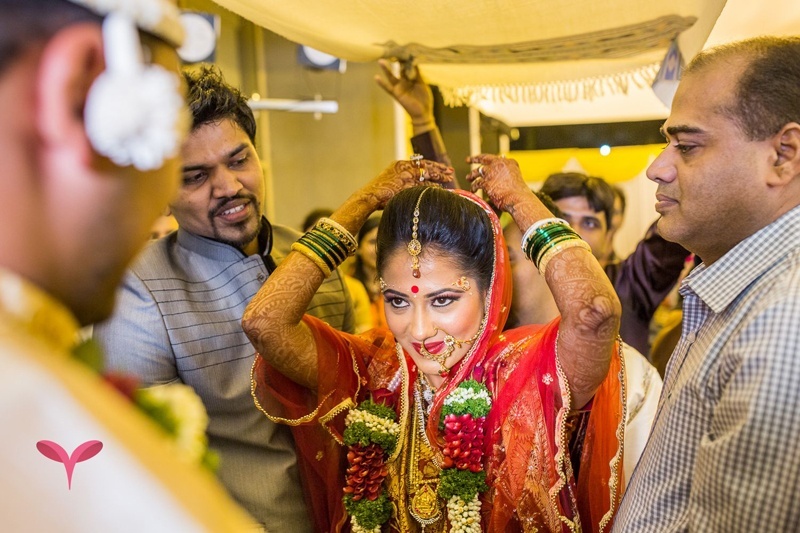 That’s when the missing started, the phone calls got longer and this beautiful couple realized they could not live without each other and in a span of one year and six months, they transitioned from being best-friends to soul mates for life. 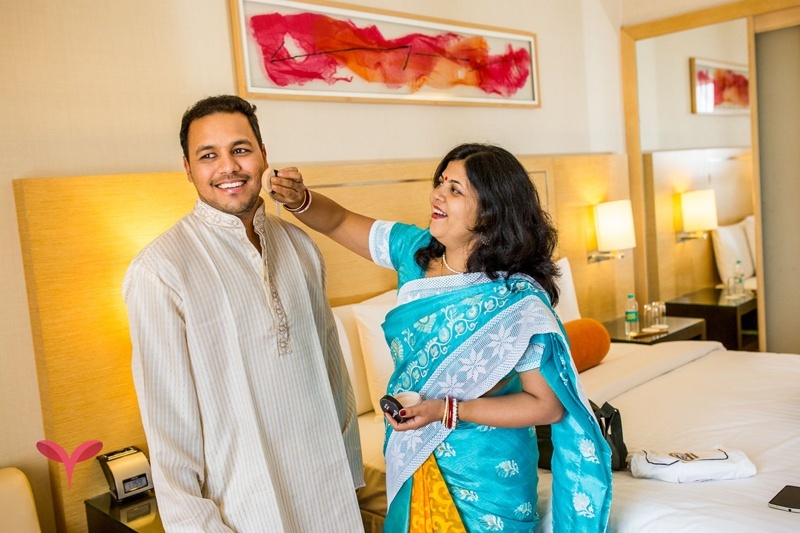 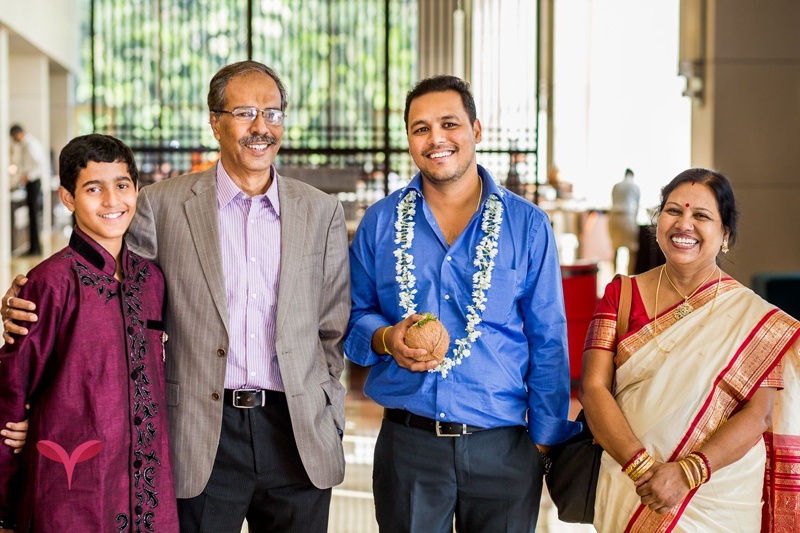 This Pune based couple picked Courtyard Marriott, Pune to host their cross-cultural wedding ceremonies. 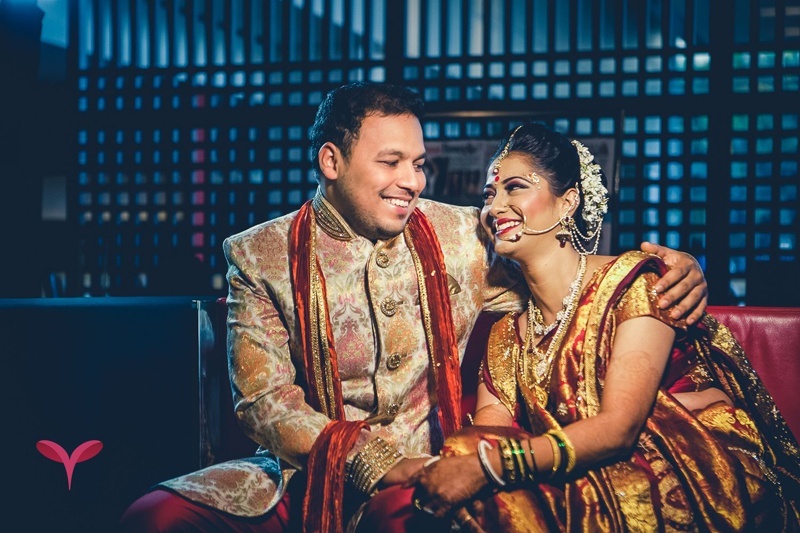 The celebrations started with the South-Indian styled wedding for which, Mahalsa wore a customized dark green paisley kanjivaram saree from Karnataka, especially made exactly to her liking – the color, the weave, the material - every element was personalized just the way she wanted it. 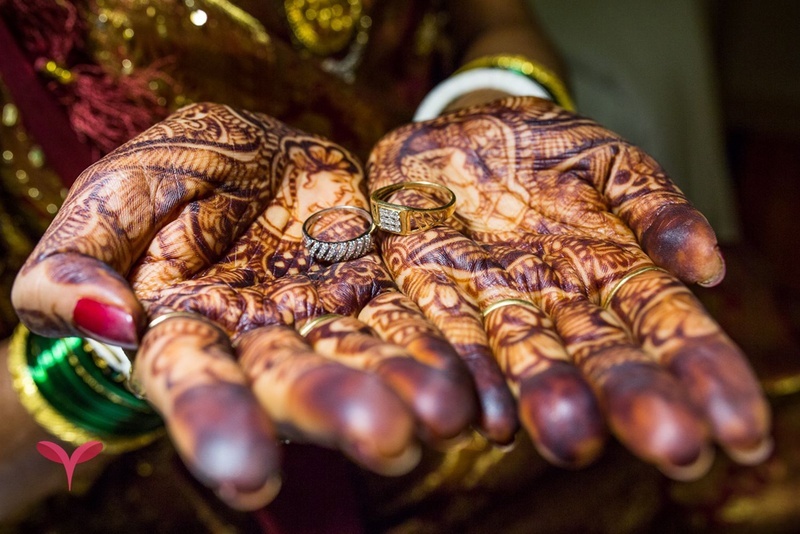 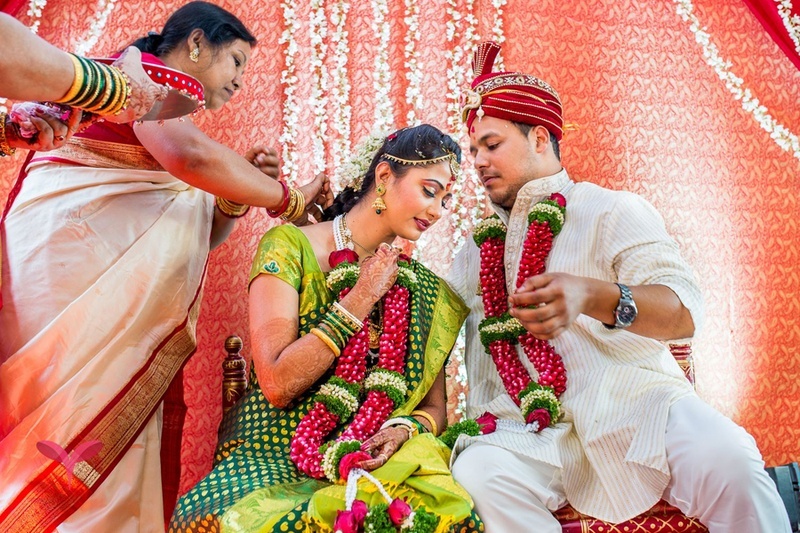 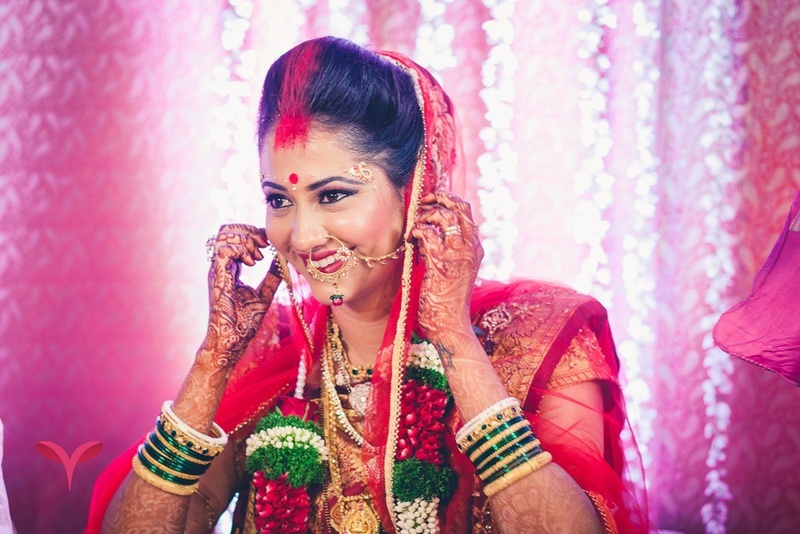 The couple exchanged garlands, and the handsome groom put the Mangalasutra around Mahalsa signifying protection of their marriage from every evil eye. 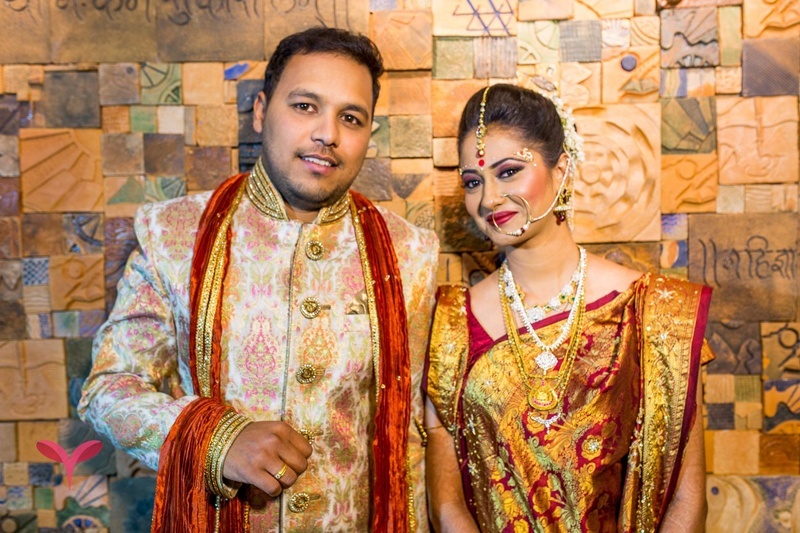 Celebrations then continued on to the second part of the for this gorgeous couple – The Bengali Wedding. 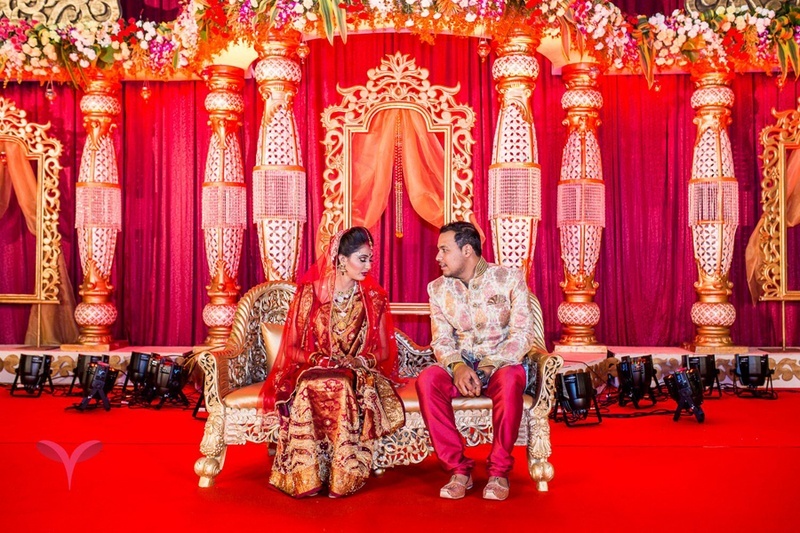 Both, Mahalsa and Shouvik were traditionally dressed to the T. The shola wood Mukut and Topor, the traditional red banarsi saree right down to the detailed red and white bindis. 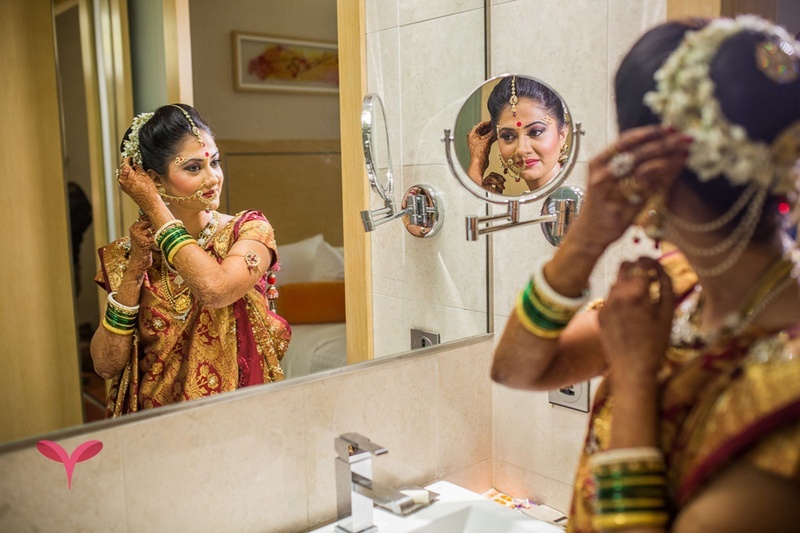 We absolutely loved every component of this stunning cross-cultural union and I’m sure you will too. 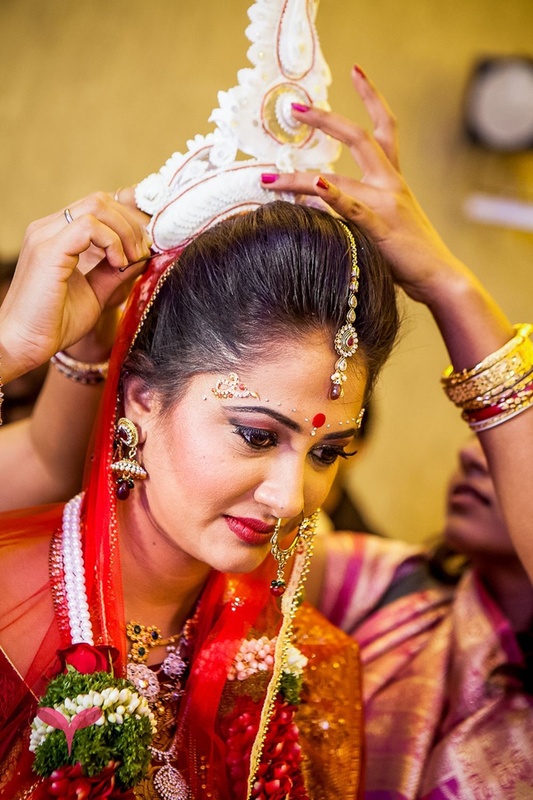 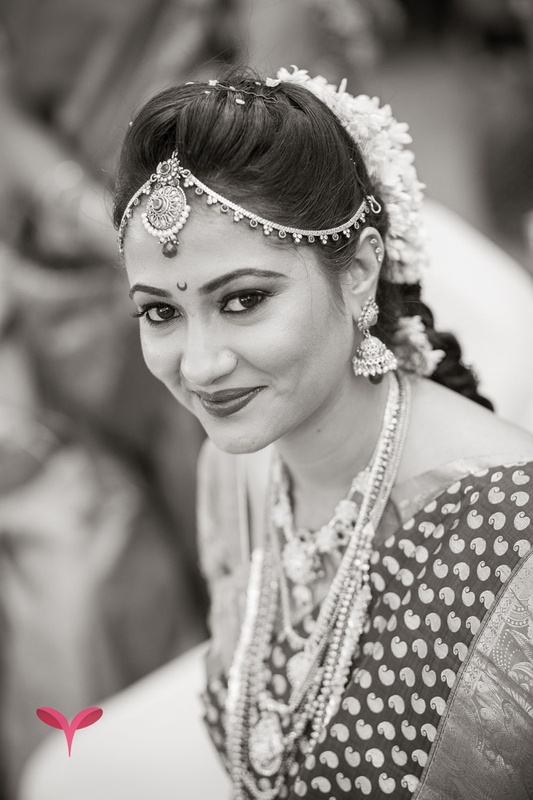 Pravin from Scarlet Weddings captured the true essence of every emotion in every photograph he clicked. 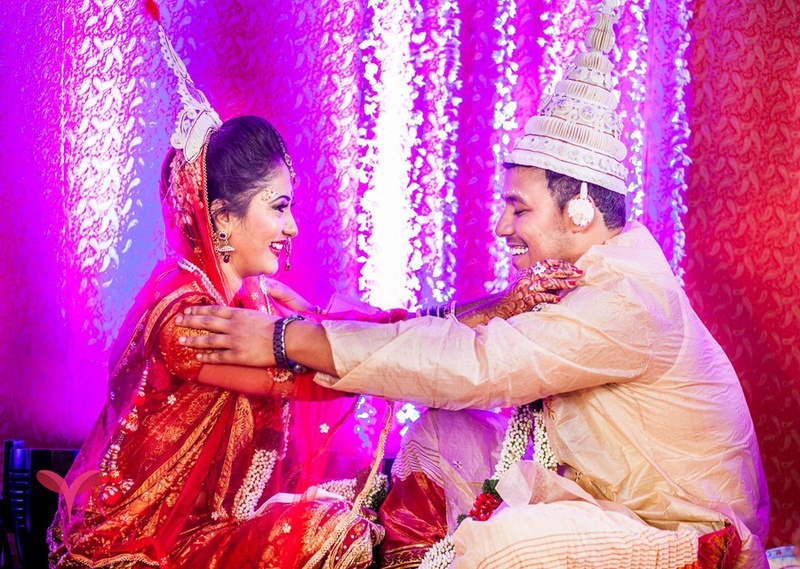 The perfect and happy couple!